Anna Adriani, global PR director and chief sustainability officer for Illycaffè, is visiting Melbourne to speak tomorrow at the World PR Forum – the first time the Forum has been held in Australia. We caught up with Anna last week to talk organisational culture, setting up a University of Coffee, and managing the stakeholders of a “small, multinational company”. What will you be presenting at the forum? What I’m going to present is the way we handle and coordinate all the activities related to sustainability through my department, so through public relations and why. And above all, I will introduce the main project that we handle, that is sustainability certification that we got two years ago through DNV, Det Norske Veritas, that is a certification body. And it was and is a brand new certification, because we were looking for something like this, but there wasn’t anything basically on the market. And so we decided to work together with DNV, that was already our partner for other certifications, in order to design a new protocol, a new certification, that is not only for Illy, but it is now there and it is open totally to the industry, meaning the other coffee roasters in the world, but also to different industries. So basically this is what I would like to introduce. The approach of the company to sustainability that has been there forever, because it’s really in the root of the company that was born 80 years ago here in Trieste, and the assumption is that there is no quality without sustainability, and vice versa. And I will try to explain the reason why public relations – it’s a total revolution. I think that it could link to the topic of public relations without borders, in a way, the fact that we allowed our scope and our mandate in the company to this territory in a way. Regarding the topic of the forum, what does that phrase, ‘communications without borders,’ mean to you? 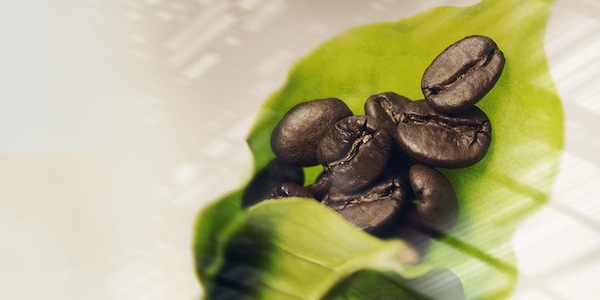 For sure, being a very small global, multinational company – we are in 140 countries with our products, and we source our coffee from more or less 15 different countries – we are really a small company that is present, more or less, all over the world. And so we have to deal every day we deliver, of course, different culture, different needs, and we try to maintain our positioning and our value proposition, and the way we propose our problems to the market. 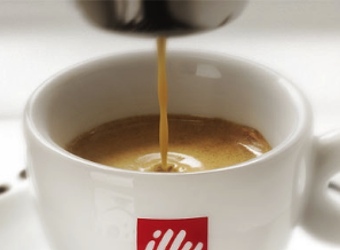 Illy’s website mentions the four pillars of stakeholder, or supplier, relationships, and one of them is about a ‘culture of excellence’. I’m just wondering about the challenges of handling such a wide spread of stakeholders throughout the supply chain. How do you drive towards the culture that you desire for the company? Basically, we trust a lot to training. So for the internal, we do a lot for the internal people, which means not only in Italy, but also the branches that we have in other countries. But we do lots of training as well for our suppliers from one side, the coffee growers, and for our clients, meaning the baristas, etcetera, from the other side. 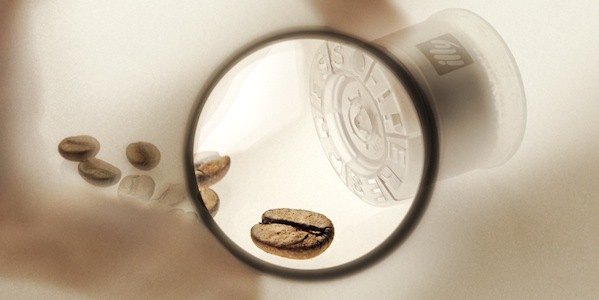 So we founded this University of Coffee, the Università del Caffè, that now has around 25 branches worldwide. The headquarters are here in Trieste where we have our general headquarters. And we do a lot of training. For instance, in Brazil, we have a branch that we set up in the year 2000, together with the University of San Paolo, and we do classes for the growers that gather there and attend, and basically what we do through the University of Coffee, the bottom line is that we deliver our culture of excellence, of being transparent, of acting in a corporate fair way towards not only our stakeholders, but we try to teach our stakeholders to be, on their side, fair towards their stakeholders. Also, the certification that we have, and that I mentioned before, in a way, obliged us to do that, because the difference between this certification and the others is that the other certifications on the market, like Fair Trade, that is the most famous probably, is on the shoulder of the suppliers, on the shoulder of the growers to pay and to certify themselves. In this case, the company that is certified guarantee the fact that all our stakeholders act in a proper way. So for us, it is of course key to deliver these messages through training and that’s why the University of Coffee is there. And then of course it was also for having quality in the coffee bars, because of course, we cannot control the result in the cup – it’s not like a bottle of wine, unfortunately. You open the bottle of wine and the quality is there. No, the quality for coffee is delivered by either the barista or your machine at home, or the machine that you find in your office. So we needed to work more on that side to guarantee not only the quality in the can but also the quality in the cup. On the idea of culture within an organisation, who do you think is responsible for that? Is it management or the marketing department, human resources? Where do you think the responsibility lies for organisational culture? This is very firmly in the hands of our chairman and CEO, Andrea Illy, that is the nephew of the founder of the company, and the son of Ernesto Illy, that was probably the one that better designed this culture. Unfortunately, he passed away 2008, but now we have a foundation called the Ernesto Illy Foundation. I consider myself very lucky to work in such a company because it values strongly the roots of the company of the family, the Illy family, that is still there, and that is the owner of the company 100%. Then of course, these values are shared by everybody, starting from the strategic committee, the first line of management. I am part of this, so again, I consider myself lucky because this is a very enlightened company that understands that the position like the one I have the honour to have, needs to stay there and discuss when these guys make decisions, and a part of this decision process – both in public relations and the relationship with the stakeholders and the one that is in charge of sustainability, so because every time we take a decision, we have to consider both aspects. One observation from here in Australia, is that it seems the topic of sustainability and corporate social responsibility was very big prior to the global financial crisis, and then disappeared for a few years. Is that something you noticed from your perspective? I think that the approach that is now on the table is probably more – this is really my opinion – it’s more true, in a sense, that there was a lot of greenwashing before, and now greenwashing is really clear to everybody, starting from the consumers. So what I think is that the financial crisis cleaned, in a way, the fake approaches to sustainability. What we like to say is that we are a stakeholder company, and really the family, meaning the shareholders are advocators of the pyramid and they are supporting the company; they are not there for, as it happens with many companies in the US, and in Italy as well, just for the sake of getting money. They are there because they trust that companies are a sort of social institution and they are at the service of the other stakeholders. They say, we say, actually, that we want to improve the quality of life of people, etcetera. I think to answer your question, is that really the people are more and more aware of what is a real sustainable approach. I’m curious about your background, actually. Have you come from a PR background professionally, or something else? Yes. You know Tony di Falcone, who is coming to Melbourne as well. He is the guru of PR in Italy, and I was lucky enough to start my career with him many years ago – I’m quite an old lady, unfortunately. I had the chance to start with him in his PR firm in Milano. At that time, there was no school, no university, and now we have plenty of choices if you want to study PR at university. At that time there was nothing, and as I said, I just finished my studies at university. I had some collaboration with editing in newspapers, TV networks, etcetera, as a journalist. Then by chance I bumped into his firm at that time, and I started basically from media relations – so I switched from being a journalist to being a person that was in constant dialogue with journalists – and I worked for more than 10 years in that agency, that was the biggest in Italy, that was bought by Shandwick, and then became Weber Shandwick. After this – and I had a chance to work with many different clients, big companies, small ones, different sectors, etcetera. Then I was hired by Omnitel, and I became global PR director there. Omnitel was the first mobile telephone company in Italy, independent from Telecom [Italia] that was state owned. Now it’s Vodafone. So I stayed there two years. And then from there, one of my former clients from the agency, Illy, called me, and I decided after a while to move from Milano and come to live here in Trieste where the company is based and have this fantastic opportunity. I got it, and it’s now 14 years I have worked for them. In the wider marketing and communications disciplines, digital has made such a huge impact, what’s been your experience, what has changed in the discipline over the time you’ve been in PR? More and more. When I started, the focus was basically, I don’t say 100%, but probably 80, yes, on media relations, so it was the bottom line, and it was always very – and I remember when I was working with the agency – very difficult to have your clients, the people you were dealing with inside the company – understanding that there were not only media relations, that for instance, when you organise an event, you don’t view only the media that write about it, but also with the people that participate in the event. Hearing this now can be strange, but at that time, really, it was very difficult. Then I saw, and I lived the revolution of the profession until the fact that now PR people are more and more part of the decision process. And they’re not the only one, of course, in this kind of position. Actually, it’s really part of the revolution of our profession. For sure, when I started, I remember that very often, public relations were perceived like a marketing tool, and then more and more, we succeeded in making our bosses and our clients understanding that we are in charge of, very often, the reputation of the company, and we are in charge of managing the relationships with the stakeholders and we give something different. So we, in a way, use communication, a project, etcetera, initiatives, to build and maintain these relationships with the stakeholders. But I mean the communication initiatives are not the main objective of what we do; they are just a tool. This is for sure the first big change and is of course an ongoing process. And the second one, for sure, the disintermediation that technology, social media, blah, blah, made really rapid, and even the so-called media relations are totally changed and changing, together with our friends and counterpart journalists, bloggers, etcetera. And within this process, we change ourselves as they are changing themselves because, I mean, either you change or die. Digital technology has changed communications very obviously at a tactical level, but what about at a strategic level? I agree, I totally agree with you. It’s not only at a tactical level; it’s a strategic level, because it’s a totally different way to manage the relationships with the people, with your stakeholders. The concept of opinion leader is no longer there, meaning that now, everybody can suddenly be an opinion leader with an interesting blog, authoritative opinions expressed through the new technologies without having the access to extensive media. So really, now it’s totally spread, and you have to have a map to who these new opinion leaders are and try to have a relationship with them for your company. Also the way you present yourself, you stay on the market, it’s totally strategically changed, meaning that you have to be constantly in dialogue and open and accept criticism and be there to answer – very open is also that you have to have more people working with you and being totally online, maintaining this continuous relationship. You cannot open yourself and then disappear for a while. You really need to be there constantly. So this is a major strategic change, in my opinion. What do you think the biggest challenges and the biggest opportunities – maybe they’re the same thing – are going to be in the year ahead for the PR industry? This is a very good question. For sure, what we mentioned now, meaning being there and trying to really participate and understand in advance what is going on in the new technology world is really key. From the sustainability side of my job, I really think that we are very quickly switching from a world that is based on exploitation of the resources to a world based on the maintaining of those resources; you cannot continue to exploit the world in the way we have done so far. And this has got, I think, everything to do with what we do in public relations and the way, of course, we deal with the people, with the stakeholders. I think that really they are intertwined. So keep the eyes open and try to anticipate what is next in the new technology world, really being there and able to get those opportunities from one side and the other, be really attentive to what is going on. And actually, being part of the process. So the company must change according to this new paradigm, I think. Just one less serious question before we finish, I saw recently a survey that said PR professionals consume the most coffee out of any profession per day. So I’m just wondering, as a PR professional in a coffee company, how much coffee you drink? I like that. Yes, I saw that and I immediately showed my boss. We are the best. I’m the kind of person that drinks coffee in the morning, and I have not so many, actually. I drink espresso or espresso based preparations, of course. And you know that espresso contains less caffeine than drip coffee, and so I have more or less three in the morning, and then one or two after lunch. But after four-thirty, let’s say, in the afternoon, I stop. I don’t know why. It’s a problem of metabolism. You know, there are people that can drink coffee before going to sleep, and they sleep very well. I’m not that kind of person. So I like to drink coffee until four, four-thirty in the afternoon, and then I stop. And it’s a total of five per day, more or less. Anna Adriani will be presenting at the World PR Forum on Tuesday 20 November at the Melbourne Convention and Exhibition Centre.